Blessed Mary Angela, baptized as Sophia Camille, was born in Kalisz, Poland on May 16, 1825. Her parents, Joseph and Josephine Truszkowski, from noble families of the landed gentry, were well educated, devout Catholics and loyal patriots. Sophia was a highly intelligent, generous, vivacious but frail child. She began her education at home under a private tutor. When the family moved to Warsaw in 1837, Sophia was enrolled in the then prestigious Academy of Madame Guerin. Because of ill health, Sophia was withdrawn from the Academy and continued her education at home where she availed herself of her father's vast library. She read extensively and, with profound insight, studied the causes and effects of contemporary social problems. Her father, in sharing his experiences as judge in the juvenile courts, broadened her knowledge of the social evils of her day. He helped to shape her sense of justice in an unjust world. Already from her childhood, Sophia was drawn to prayer and genuine concern for others; but it was in 1848 at the age of 23 that she experienced a great change in her spiritual life which she herself called her "conversion". This was the beginning of a more intensive interior life which manifested itself in a growing devotion to the Holy Eucharist, a greater love of prayer and a more ascetic life. She seriously considered joining the cloistered Visitation Sisters but her confessor advised her not to leave her ailing father. Later, while traveling with him through Germany, Sophia was enlightened by the Lord during her prayer in the cathedral of Cologne that, despite her love of prayer and solitude, she was destined to go among the suffering poor and to serve Christ in them through prayer and sacrifice. She became a member of the Society of St. Vincent de Paul. During the day she worked zealously for the cause of the poor and at night she prayed, constantly searching for God's will for herself. Finally, Sophia discovered her path and forged ahead independently. By this time she had a crystallized vision of her mission. Acknowledging that the evils of her day were due to broken families, a licentious social milieu and a lack of religious and moral training, she undertook the moral and religious education of poor neglected children, gradually extending her spacious heart to the downtrodden, the exploited, the aged and homeless. With her fathers financial help and her cousin Clothildes assistance she rented two attic rooms. This center then became the acclaimed "Institute of Sophia Truszkowska" which began to serve as a conscience of its cultural milieu. Here, before an icon of Our Lady of Czestochowa, Sophia - now named Angela - together with Clothilde solemnly dedicated themselves on the feast of the Presentation of the Blessed Virgin Mary, November 21, 1855, to do the will of her Son, Jesus Christ, in all things. Hereafter, this was recorded as the official founding day of the Congregation of the Sisters of St.Felix of Cantalice. Mother Angela determined that the aim of her Congregation was that "in all and by all, God may be known, loved and glorified". Mother Angela was not only a deeply spiritual woman but a truly enlightened woman of her day. Her community, unique to the then traditional religious life in Poland, was innovative in pioneering nontraditional leadership roles for women and service-oriented roles to meet the needs of the times. However, she integrated these nontraditional roles with the existing forms of religious life, thereby uniting ministry and contemplation within the framework of her own charism. Through her life, work and personal holiness, the Foundress marked out the role and destiny of this 19th century innovation in Poland. As one of the first active-contemplative communities, her sisters actualized the Gospel message in generating needed social changes, actively survived political suppression of foreign conquerors, and assumed a vital and lasting role in the mission of the Church. Mother Angela envisioned service for Gods kingdom on earth as all-embracing. When the Church called, the Felician Sisters responded. The myriad of ministries in which they engaged ranged from social and catechetical centers to converted makeshift hospitals for the wounded guerrilla fighters, including Russian and Polish soldiers - the oppressors with the oppressed - with a charity that made no distinctions. For three successive terms, Mother Angela was elected as superior general of the Congregation. 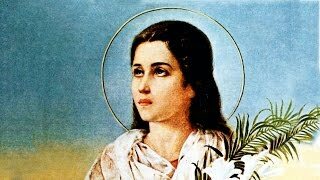 Her desire to multiply herself a thousand times and travel to all parts of the world, to live Gods love and teach his merciful love to all living souls was realized in Gods own way. At the age of 44, at the peak of human competency, the Foundress moved aside and placed her Congregation in the hands of another. She abandoned herself to Gods will and for 30 long years she lived in complete hiddenness suffering progressive deafness, malignant tumors, and excruciating headaches. Despite the fact that she retired into the background, her concern for the sisters remained very much alive. As foundress and mother of the Congregation, she was the inspirator in the writing of the Constitutions, the initiator of new ministries and, above all, mother and guide to her spiritual daughters. She exerted her influence through letters, petitions, and even confrontations to bring to fruition the vision she had for her Congregation of Felician Sisters. She heartily endorsed the plan to send sisters to America and personally blessed the five pioneers as they left in 1874. Her submission to Gods will gradually brought her to a complete union with Him in the long mystic experience of her annihilation. Hers was a spirituality of essentials. There were no extraordinary forms of prayer, no visions, ecstasies, or divine revelations. Her lasting legacy of love is the childlike love and imitation of the virtues of Mary, and the Eucharistic spirituality which she bequeathed to her spiritual daughters as a way of life. To this day every provincial house of the Congregation of Sisters of St. Felix of Cantalice has the privilege of public exposition and adoration of the Blessed Sacrament throughout the day. Mother Mary Angela died on October 10, 1899, at 12:45 a.m. Her face, ravaged by suffering, in death took on an expression of peace and quiet dignity. Victory over death shone in the gentle countenance of her face, and the sisters claimed that she was so beautiful and pleasing to look at that they could scarcely take their eyes off her. By special authorization of the municipality of Cracow, Mother Mary Angela Truszkowska was buried in the chapel adjoining the convent of the Felician Sisters on SmolenskStreet. For this world today, Blessed Mary Angela Truszkowska remains an example of true femininity, a woman of conviction; a woman who has dared to be prophetic; a religious who has inspired and challenged many to action and contemplation.